This is a sub-section of our CNC Machining and Manufacturing Cookbook. 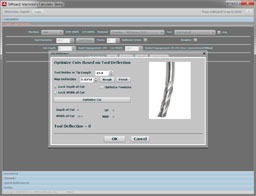 It offers articles on the actual CNC machining process itself. The overall Machining Cookbook is organized according to the Manufacturing Lifecycle, and these articles are germain to the Machining portion of the Lifecycle. A Bar Feeder for your VMC: Imagine the possibilities! Solid Carbide Endmill Grades, Geometries, and Coatings: What are you getting from an expensive cutter? How Can G-Wizard Calculator Make Your Business More Efficient? Ever Use a G-Code Simulator to Debug a Part Program? Why Doesn't My CNC Move the Cutter Where I Told It To?